Classified as a sharp and floral fragrance Top notes are jasmine, bergamot and orange Middle notes are amber, orris and ylang-ylang Base notes are sandalwood, cedar and oakmoss Recommended for day wear. Classified as a sharp and floral fragrance Top notes are jasmine, bergamot and orange Middle notes are amber, orris and ylang-ylang Base notes are sandalwood, cedar and oakmoss. Recommended for day wear. 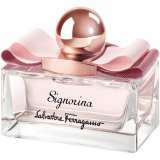 Salvatore Ferragamo Frees The Unpredictable Facet Of The Signorina Woman With A New And Mysteriously Daring Fragrance Signorina Misteriosa. 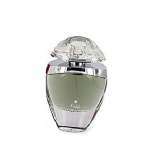 A Perfume Uncovering The Wilderness The Secrets The Mystery Every Girl Keeps Hidden. An Expression Of Elegant Boldness And Daring Audacity. 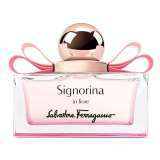 Emozione Rosa Orientale by Salvatore Ferragamo is a Leather fragrance for women. This is a new fragrance. Emozione Rosa Orientale was launched in 2017. 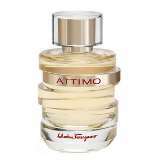 Top notes are saffron, orange blossom and cardamom; middle notes are rose, leather and musk; base notes are agarwood (oud), vanilla and patchouli.